Getting Here: Logistics & Airfare Deals! Ok friends, it is getting c-o-l-d COLD up there! And naturally, we are here to help! 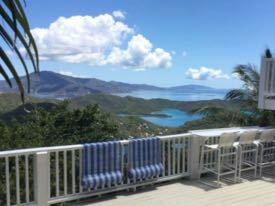 We know that your St. John daydreaming is likely in overdrive lately as many of you deal with frigid temps and snowy weather. So today, we are going to do our best to entice you all to come and visit us where you can enjoy temps in the low 80s. Sounds great, doesn’t it? If so, then please read on! First, let’s talk about logistics. 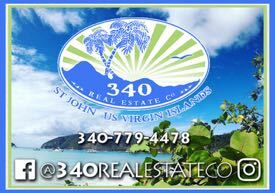 If you want to visit St. John, first you must know that we are in the US Virgin Islands. Some people confuse us with St. John’s, Antigua. They have a “s” and we do not. I have actually had tour guests call me in a panic in the morning because their taxi didn’t know where the Red Hook ferry was. Well that’s because their cruise ship docked in Antigua … oops! Ok, so now that we have that squared away, you may be wondering about airports. In order to visit St. John, you must fly into St. Thomas, US Virgin Islands. The airport code is STT. The airlines that fly into St. Thomas are Delta, JetBlue, American, United, Spirit, Cape Air, Liat and Seaborne (who recently merged with Silver). Once you land, you need to get to the ferry. This is how 99 percent of people get to St. John. (The other one percent take a helicopter which can be pricey.) These days you have two ferry options. The main ferry leaves out of Red Hook on the hour, every hour. If you opt to take this ferry, you simply need to tell your taxi driver to take you to Red Hook. The ride is about 30-45 minutes from the airport. The ferry takes about 15 minutes.There is a new ferry operating out of Crown Bay, which is five minutes near the airport. That ferry ride takes about 35 minutes. Click here to read details on that. Both ferries will take you to Cruz Bay. Ok, so there are the logistics for you. 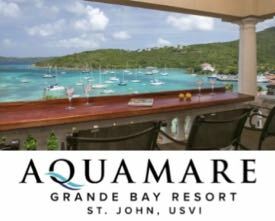 But before we move on to the great airfare deals we’ve found, let’s talk about leaving St. John. When you arrive at the airport on St. Thomas, you will have to go through US Customs before going through security. You do not have to fill out a form anymore, but you will have to answer a few simple questions about where you’re been, where you’re going and whether or not you are taking anything home with you. Because you have to go through Customs and security, you may want to allow yourselves some extra time. Ok, now on to the airfare! Over on our Facebook page last night, we asked you all which airport you tend to fly from when visiting us. We looked over the top responses and searched for some great airfare deals. As always, we used Google’s airfare matrix, which is the best way to shop for flights in my opinion. And a little tip: look at one way tickets too. Sometimes you can save money that way. So here is what we found when searching on January 28, 2019. We searched for the best roundtrip fares for a seven-night stay over the next 30 days. New York: This deal we found was simply amazing!!! You can fly roundtrip on Delta, which is a direct flight out of JFK, for just $266 from February 25th through March 4th. Go and scoop this one up fast! Washington Dulles: More great airfares from Dulles! You can fly roundtrip, direct for just $325 leaving on the 21st, 22nd, 26th and 27th on United. Boston: JetBlue is resuming its direct flights from Boston to St. Thomas next month. But from what we see, they are only offering one-way tickets to St. Thomas. You will have to stop in San Juan on your way back to Boston. One-way fares to St. Thomas are just $152 on February 25th, 26th and 27th on JetBlue. Hartford: I have flown this route a lot. Usually your best bet is to make a quick stop in San Juan when flying JetBlue. The best fares I have found for this route is $225 one-way on JetBlue on the 20th. The majority of these flights are overnight flights. So if you live in this area, it may be better o drive to Boston or New York. Memphis: Sadly, we were unable to find any good deals for you all. Looks like roundtrip tickets are just under $1,000 for this route. Philadelphia: You can fly pretty inexpensively, but only if you don’t mind spending a full day in Orlando. Perhaps you’d like to see Mickey on your way home? The good news is that if you are willing to do so, you can fly here for just $218 roundtrip! Atlanta: I’ll never understand why it is more expensive to fly here from Atlanta than it is to fly through Atalanta when starting from somewhere else. Delta is charging a whopping $438 for a one-way ticket to St. Thomas. That’s ridiculous. Sorry Atlanta friends. Orlando: Spirit flies here direct on Sundays, Tuesdays and Thursdays and has flights as low as $72 each way during the month of February. Detroit: Your best bet is to choose one-way flights. You can fly to St. Thomas on the 26th for just $144 on Spirit. You can fly home on the 5th for just $176. I was only able to get these fares when I chose one way tickets for some reason. So you get to St. Thomas for $320 roundtrip from Detroit, which is absolutely amazing!! Milwaukee: For those of you living in this area, you also should look into one-way tickets. You can fly for just $286 on American on the 19th. You can then fly home on the 26th for $290. So the total cost roundtrip would be $576, not too shabby. 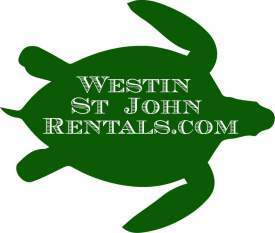 Soon you will have the chance to travel to and stay on St. John for just $25… Stay tuned!!! ← Great News from Trunk Bay! If you look up Rochester or Buffalo, NY you will find some of the highest airfare and look longest flights possible to get anywhere, let alone the USVI. Since that is where I live I will never get there. Have you tried checking airfares from BUF to SJU on southwest/ (We’re flying southwest out of Milwaukee.) Then Seaborne airlines from SJU to STT. Takes a little planning to coordinate the flights, but we ended up with some great prices. We have to spend a night in Puerto Rico on the way there, but the flights home work without a layover. We’re looking at doing the same thing. Flying SW from Dallas to SJU. What places have you found to stay in SJU? I’m kinda nervous about staying. We actually vacation in San Juan quite a bit. The Condado neighborhood is nice and is only about 10 minutes froth airport. La Conca and the Vanderbilt are book good hotels. We are staying at the Courtyard by Marriott Isla Verde Beach Resort for one night. Not cheap, but close to the airport and I had Marriott points to use. Our friends are paying to stay one night. And they have a pool bar! BUF usually has pretty good flight prices to STT. Often under $400 if you fly midweek or under $500 if weekend. Granted it gets back late at night but the price is usually very good unless it’s a holiday week or something. This is great! Finding the best fares can be a challenge even for those of who who come more often. Even crazier are the prices on flights from Florida! We all known though it is the best place on earth! What is even more challenging is to find a place to stay without breaking the bank. Thanks for the airfare tips. We loved our first trip to St. John in Jan. We shall return soon! Staying tuned for the $25 opportunity. Does this put me first in line?! Why hasn’t the dinghy dock been repaired? do you own a dinghy and live on stj? Pretty sure one side had been rebuilt. Perhaps you are not aware it is not the airport that sets the prices for flights but the airline! We will be there Saturday, can’t wait. BUT airfare from Arkansas is ludicrous! Flight prices from Charlotte, NC to STT not exactly cheap either. But when you book means much. We are returning for the 13th time and I have always been able to find reasonable fares. It just depends when you book. We are visiting our favorite island this April yet I booked our flights last August. Was able to get FIRST CLASS, round trip for under $1000 each, so we decided to splurge. Coach could be had for about $400 each round trip!!! It’s just careful planning. Do you have any info for flights from the MidWest? Cincinnati, Dayton or Indianapolis?? Looking forward to our 29th visit (since 1990, @#!! IrmaMaria! ), and something all should check/consider when booking flights…Spirit has great numbers, but you also pay for carry-on and check-in, so that adds a good bit to your ‘good deal’, United allows no carry-on (other than a ‘personal’ item) for its best offers, etc. So always check for that when the deal looks too good. Can’t wait to visit that part of my heart that remains on the Rock. Enjoy! I always do!